Homeopathy - a particular form regulating therapy, whose purpose - to influence the processes of self-regulation using specific homeopathic medicines and preparations chosen strictly individually, taking into account the response of the patient. Homeopathy can will be applied at any diseases that do not require surgery or intensive therapy methods. Homeopathy is effective in acute diseases, but advantage is particularly clearly demonstrated in chronic diseases. That is the only method of treatment that for chronic diseases allows to achieve sustained improvement of health, and sometimes a complete cure. Homeopathy - the most effective and one of the safest treatments. It can be used in patients of any age and in pregnant women. Defeat of the intestinal tract (peptic ulcer, gastritis). 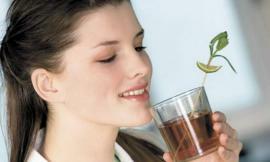 Homeopathic remedies are also successfully copes with various kinds of phobias, depression, obesity. Even such serious diseases as arthritis, hereditary diseases, multiple sclerosis are treatable or a significant adjustment in the direction of improvement. 1. The basic principle of homeopathy is that the drugs are appointed according to the law of similarity. Homeopathic drugs in small doses, are highly effective in treating the disease, but the same preparations, but in a more enlarged doses contribute to the manifestation of symptoms similar to those of the disease. For example, onions leads to a liquid runny nose, watery eyes, cramps in the eyes, and homeopathic medicine based on the bow, on the contrary, treats colds and runny nose. 2. Another principle is that necessary treat the person, not the disease. 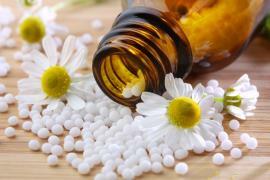 Homeopathic medicine is gradually reconfigures the body to a healthy footing. It should be remembered that this process takes time, because the body independently determines recovery time. First, are corrected with the nervous, immune and endocrine systems, and only then all the rest. 3. The third principle is a natural treatment. All homeopathic remedies produced from natural ingredients (plants, metals, minerals). For each patient selected individual drug with a certain dose. This medicine is absolutely not harmful to the body and is not addictive. After receiving the homeopathic remedy, which in each case is assigned to a certain dosage, in the first place there is improvement general and mental health, and then gradually begin to subside, and then completely disappear symptoms of the disease (for example, dropping Temperature during the flu or ARI) . Possible to tell that homeopathy has an impact not on the microbes or other disease-causing bacteria, but primarily on the immune system, the nervous system and psyche. Difference of homeopathy from traditional methods is that at the medical treatment to a patient is prescribed maximum doses of exposure of the substance, and to the homeopathic - minimum. Moreover important degree of dilution of the active substance: the more water is added for dilution of the active substance, the greater the effect. In addition at the degree of dilution affects susceptibility of the individual patient. That's why in homeopathy is important individual, careful selection of drugs. Homeopathy can not be combined with procedures such as chiropractic, acupuncture and physiotherapy. So if you decide on a such procedures, be sure to consult with your doctor. Homeopathic pellets necessary dissolve in the mouth (not to drink and do not swallow) half an hour before or an hour after meals. In the period of such a treatment is recommended to abandon the drinking coffee, tea, cigarettes, alcohol, and spices. Also, during the reception of each drug may need a special diet, about which will tell the doctor.